Blog 8 Steps to Improve 1.2 seconds in your 50 Free and break the 21 second barrier! 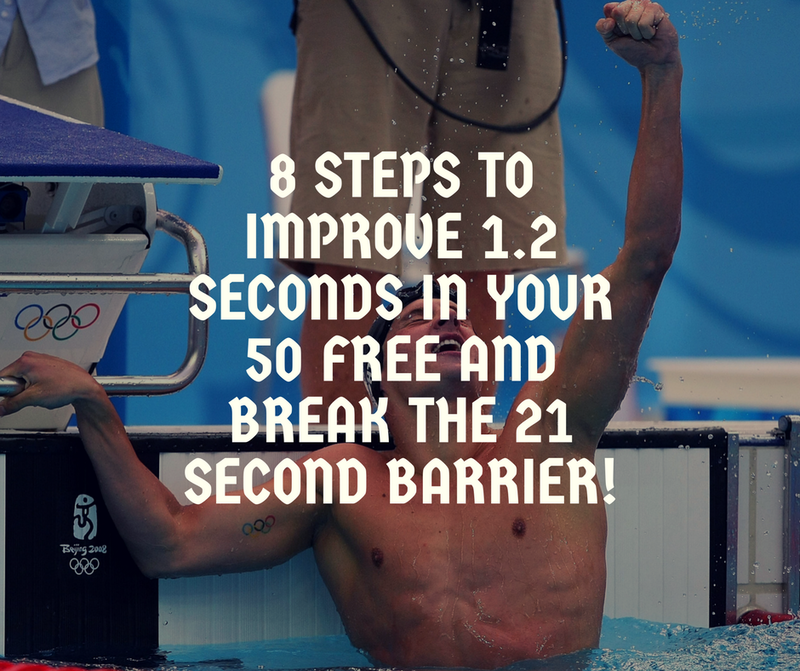 8 Steps to Improve 1.2 seconds in your 50 Free and break the 21 second barrier! Overall improvements in swimming diminish with improvement. As swimmers progress, it is much harder to improve then when you’re a newbie, pulling up your Speedo for the first time. I remember attempting to break the 21 second barrier for 3 years straight in high school, yet having a large barrier (likely a mental barrier) impeded me from breaking the 21 second mark in the 50 free. Since my swimming years, I’ve had the opportunity to work with swimmers in various elements of their performance. 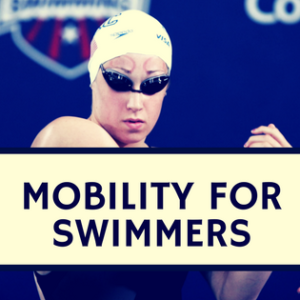 Most notably, I work with many swimmers on staying healthy or returning from injury. However, I also have the opportunity for creating strengthening and dryland programming for swimmers, clubs, and governing bodies. The last element I get to do is consult with individual swimmers on their biomechanics or general performance. I was working with one swimmer before this high school season who hadn’t been able to break the 22 second barrier for the past 2 years. Below are the tips I used with this swimmer and helped him not only break the 22 second barrier in the 50 free, but also break the 21 second barrier. Now, I clearly can’t take all the credit for these results. This swimmer was a 17-year-old male, so maturation and strength may have occurred naturally. Also, his coaches, parents, and teammates played a vital role in this performance improvement. Nonetheless, here are the tips we used to get this swimmer under the 21 second barrier! Positive Mental State: After plateauing at 22 seconds for 2 years in the 50 free, this swimmer had lost confidence. Moreover, he was a top swimmer for years, now facing plateaus and performance impairments. Combine this with the pressure of trying to swim at a Division I college, decreased this swimmer’s positive and aggressive mindset. To combat this, we implemented a positive incantation for the swimmer to use for the entire warm-up duration. He simply stated 3 positive sentences in his head for 20-minutes straight. This positive phrase helped pump him up for a workout and we later utilized during meets, specifically behind the block. The swimmer reported, disinterest with this process at first, but after 3 months of implementation, he said he used this phrasing multiple times during workouts and even driving to practice, to motivate him for a good workout. Multiple Starts a Day: Many swim teams only practice starts 1-2x/week. However, the start contributes to up to 20 – 30% of the race in the 50 free. Therefore, we had this swimmer perform a minimum of 20 starts a day. During these starts his teammates/coaches timed him to the 15-m mark, working on improving the biomechanical elements we found were improper (back tibia facing towards the pool, elbows facing backwards, pulling the arms on the start, launching the head forward in the direction of desired motion, delaying his initial dolphin kicking underwater, taking one more dolphin kick underwater). Clearly, he had a lot of elements to work on and he focused on one of these elements for ~1 month, ideally until he showed mastery. Lung Packing Behind the Block: In a 22 second race, unless the swimmer has flawless breathing biomechanics, breathing will slow down their performance. Therefore, we decided to change his plan from breathing 2 times to not breathing during the race.Also known as “lung packing,” buccal packing involves taking the deepest breath possible, then using oral and pharyngeal muscles, along with the glottis, to hold the throat shut while shunting air, cheekfulls at a time, from the mouth down into the lungs. It’s been said that by repeating this pumping movement up to 50 times, one can increase his total lung capacity by as much as three liters. WHEN PERFORMING HYPERVENTILATION, TALK WITH YOUR PHYSICIAN BEFORE ATTEMPTING. Protein Intake Increase: Despite having a well rounded nutritional plan, he was not consuming adequate protein for increasing muscle. He was consuming ~50 grams of protein a day, when we found increasing his protein intake to 140 grams/day allowed him to increase his weight by 10 pounds over 6 months (which we suspect to be muscle). Consuming ~1.2 – 2.0 grams/kg/body weight is often suggested for those looking to increase muscle. Many will argue increasing muscle isn’t necessary for swimming, but in the 50 muscle is essential for power production. 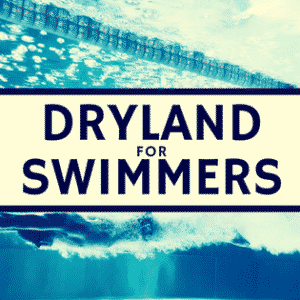 Implemented a Power Dryland Program: Until working together, the swimmer performed many different dryland protocols. He reports doing 2 years of circuit weight training (:20 – :40 seconds of an exercise) followed by :30 – 60 seconds rest. He also reported doing low weight CrossFit for 1 year. Once he was able to demonstrate proper form on the basic movement planes (pull-up, push-up, single leg squat, single leg hip hinge, plank, side-plank), we implemented a power, plyometric based dryland program. This consisted low volume, high-intensity jumping, medicine ball throwing, where speed and distance were measured and progressed. He also performed maximal effort body weight exercises to complement the plyometrics, mainly from not having access to weights. Turn Biomechanics: Race footage showed he hesitated before initiating his turn, tried pushing off too quickly on the wall, rotated too quickly off the turn, began kicking too early, and started stroking too early. Similar to starts, we had him work on these elements one at a time for approximately an entire month, focusing on the element during 50% of his turns. Head Position: Race footage easily showed his head was slightly extended during his freestyle. This head position increased his front drag and likely decreased the force capabilities of his arms. Lowering his head took a lot of practice, but we found changing is fixation point in the pool was helpful while he was learning this position. He was looking at the bottom of the wall he was approaching and we switched to having him look at the bottom line, slightly forward. We tried having him swim with his head straight down, but this greatly altered his body position. In the future, altering his head slightly more may provide even greater improvement for this swimmer. Increased Arm Entry Length: Standing at 6’0” he had a high elbow recovery and entered slightly past his head. We slightly transitioned his arm entry to extend his elbow slightly before entering the water. This change took the longest to implement and we found the best cuing was to reach forward after the arm passed his head. This cue would likely result in a straight arm recovery in most swimmers, but with this swimmer it only minimally increased his arm entry length. This allowed him to take 2 stroke less on each lap, an extremely helpful adaptation for minimizing upper extremity fatigue during the race (the extra kick off the start and turn also contributed to this stroke count reduction). All swimmers have room for improvement and this swimmer was diligent and took all the adjustment to heart, especially after noting improvements and breaking the 22 second barrier without being tapered. As you can see, these changes minimally adjusted his actual swimming training, but focused more on the elements outside of the pool and with biomechanics. 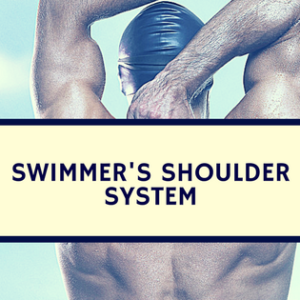 These areas of improvement play crucial roles, especially in trained swimmers. After each taper meet, detailed race and meet analyses are necessary for continual improvement and focused direction for improvement. Too often swimmers fall into the “work harder” trap. This trap suggests simply working harder will result in improvement, but once you reach full maturation, detailed planning and implementation of weaknesses is required for continual improvement. As we found in this case study, these tools combined with deliberate practice helped this swimmer drop 1.2 seconds in one season in the 50 free and not only break the 22 second barrier, but break the 21 second barrier and likely have an opportunity for continued success in a Division I swimming program. If you’re looking for more tips to improve your swimming, check this out! If you’re looking for individual help, check out our consultation service. What kind of training we aplied about lung packing? Yes it is, hopefully it also demonstrates how individualized and specific items are needed for improvements of all skill levels.